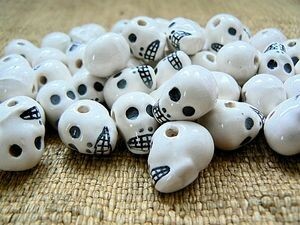 Crafted from high-fired porcelain bisque, these ceramic skull beads are glazed in white with black accents and large side to side holes. Sold individually. 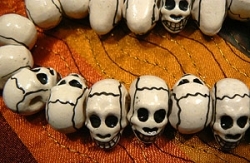 The beads measure 11mm wide (from hole to hole) and 19mm long from the longest part of the back of the skull to the chin. 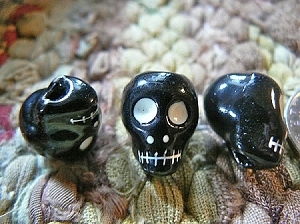 The hole is approximately 3.5mm to 4mm wide.